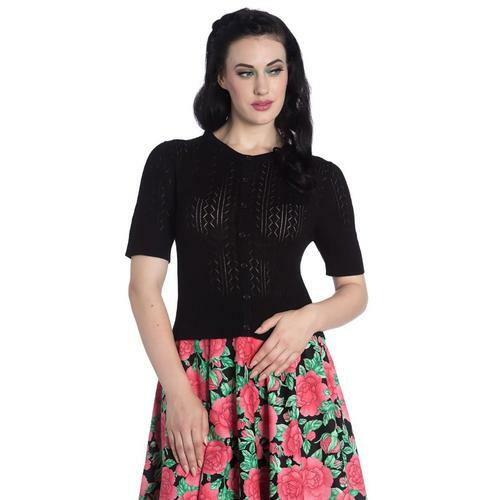 Collectif 'Lucy' Retro 50s style knitted cardigan with short cropped body, elbow length sleeves and classic crew neck. This classic button through cardigan is influenced by 1950s Rockabilly style, perfect for a Pin Up Picnic! The Retro textured oversize gingham pattern is teamed with subtle shimmering dome buttons and complimented by off white ribbed trims. 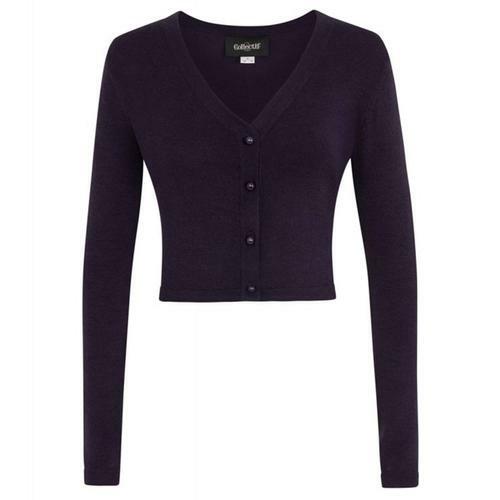 The Collectif Lucy Cardigan is perfect for layering in the warmer months. 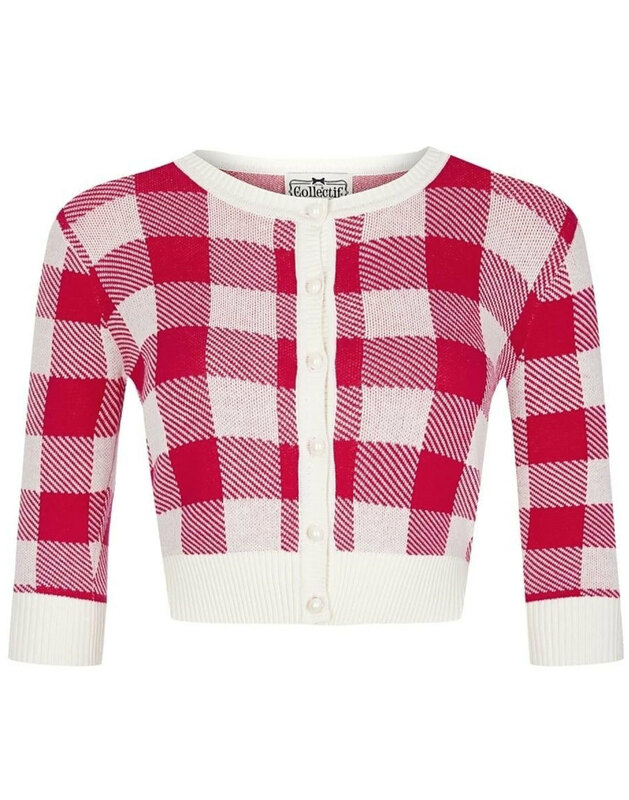 - Collectif 'Lucy' Retro 50s Gingham Cardigan in red. - Oversize gingham check pattern. - SKU: LUCY GINGHAM CARDIGAN.